A&E has announced that season three of Bates Motel will debut on March 9th, paired with the series premiere of The Returned. There will be 10 episodes of each. PASADENA,CA – JANUARY 9, 2015 – A&E Network presents two original scripted series’ premieres on Monday, March 9 with the season three return of the critically acclaimed “Bates Motel” followed by the new original drama “The Returned” at 9PM and 10PM ET/PT respectively. “The Returned” is produced by A+E Studios and FremantleMedia North America in association with Haut et Court TV SAS, the producer of the French series, for A&E Network. Executive producers are Carlton Cuse for Carlton Cuse Productions, Raelle Tucker for Angry Annie Productions and Thom Beers, Craig Cegielski and Stefanie Berk for FremantleMedia North America. What do you think? Are you looking forward to these shows? More about: Bates Motel, Bates Motel: canceled or renewed?, Bates Motel: ratings, The Returned, The Returned: canceled or renewed? Love Bates Motel and The Returned. The Returned is based on Les Revenants (French show) which was delayed but returning for Season 2. Resurrection has a few similarities but not the same show. Hope both shows are returning for another season. One of my favorite shows. 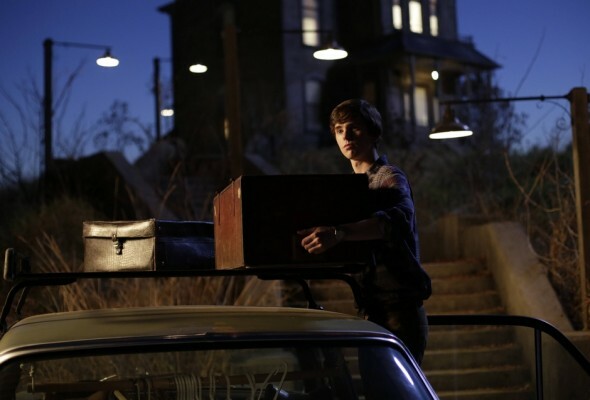 Can’t wait to see the Bates Family with all their mysterious past. Can’t wait for Bates Motel to come back. I really enjoyed this one… specially since I’m old enough to have see the original Psycho movie in the theatre! I love that Bates Motel is coming back. It’s a great show. Not too sure about The Returned though. I’ll watch a few episodes, but the synopsis sounds EXACTLY the same as Resurrection. Not that it’s a bad thing, but I just don’t know if many people will tune in. I stand to be corrected though. I hope its good though as I love Mary Elizabeth Winstead. Looking forward to Bates Motel! One of my favorites!